Hurricanes Irma and Maria turned out island home upside down. 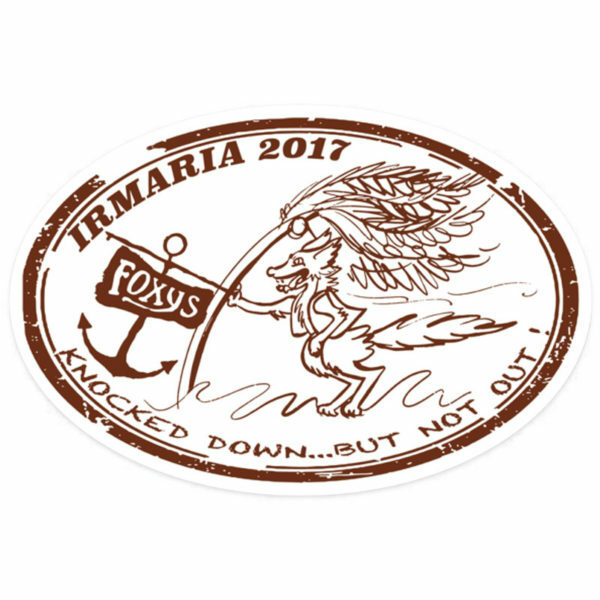 Help us rebuild with your purchase of our commemorative ‘Irmaria 2017’ design “Knocked down but not out”. 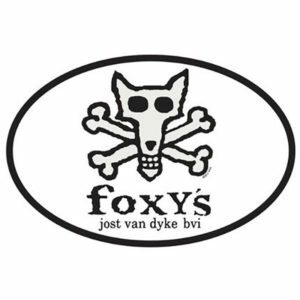 These stickers are 4″ x 6″ vinyl and resist wear and fading. A perfect way to show your support on your car bumper, computer or dinghy. 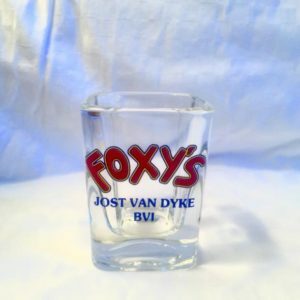 The Bar and Boutique open daily at 9:00am and Foxy’s serves lunch and dinner daily. 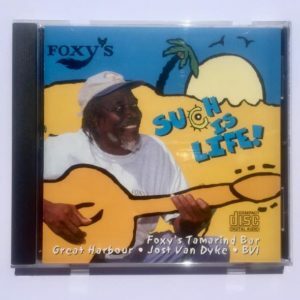 In season we have live entertainment after dinner and the bar stays open until the party is done!